From the classical to the contemporary and the modern to the rustic, Mediterranean influences fit in with pretty much any theme that you have going in your home. It is a style that is both easy on the eyes and easy to work with. With endless choices in terms of colors, textures and specific styles, here are 9 important ways in which you can give your bedroom Mediterranean-inspired elegance. 1. A World within Worlds! 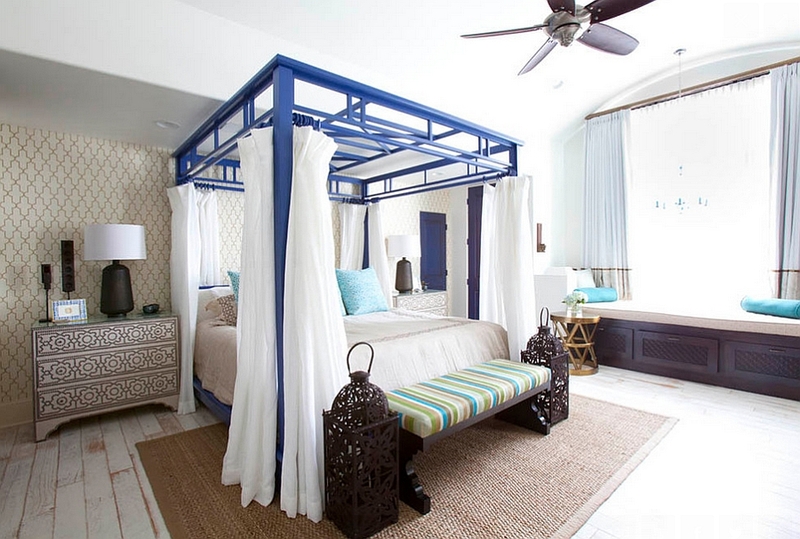 Before you start dreaming about your Mediterranean-style bedroom, it is important to understand that the overall style is a fusion of several different sub-styles. You can opt for exciting, colorful and classic Spanish influences, or a Greek style with deep blues, turquoise and plenty of white. There is also the Mediterranean-Italian style that seems to bring home the dreamy, old world charm of Tuscany, while bold Moroccan influences take the bedroom in an entirely different direction. 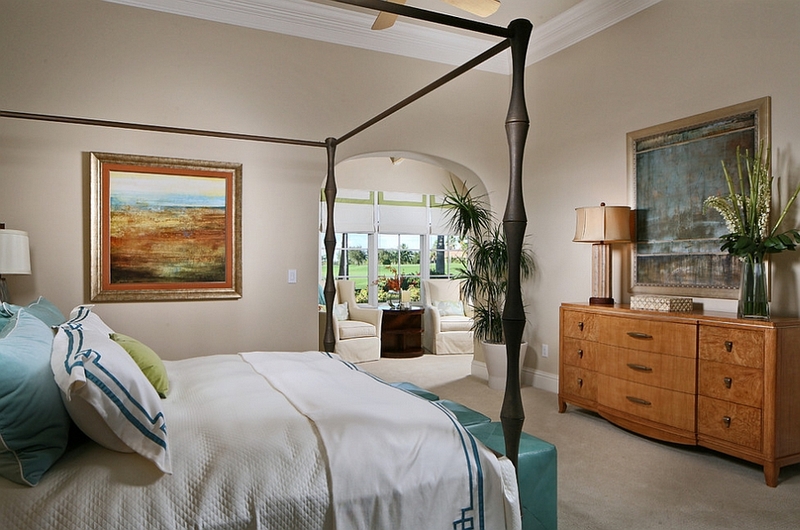 Have clarity about the inspiration for your Mediterranean bedroom before getting started! 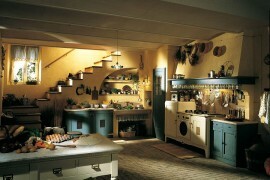 There is a popular idea going around that Mediterranean-style interiors as a rule must have a pristine, white backdrop. The many luxury villas from the coast of Greece to Ibiza might have a big role in shaping this global perception. But that is barely the truth. 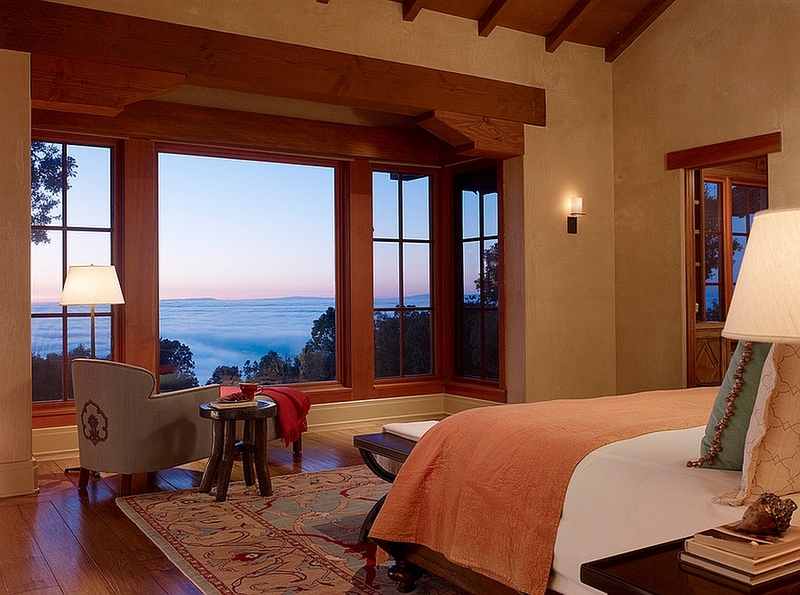 In fact, Mediterranean bedrooms look even cozier with vibrant, earthy shades. 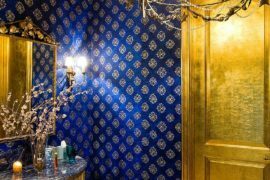 In fact, if you are decorating with Spanish and Moorish influences then bold oranges and brilliant blues are almost a must. But with most homeowners preferring neutral backdrops for the sake of ease and adaptability, it has become a safe and stylish bet. Nothing says Mediterranean like plastered walls, and their warm visual appeal makes them the ideal choice for the bedroom. 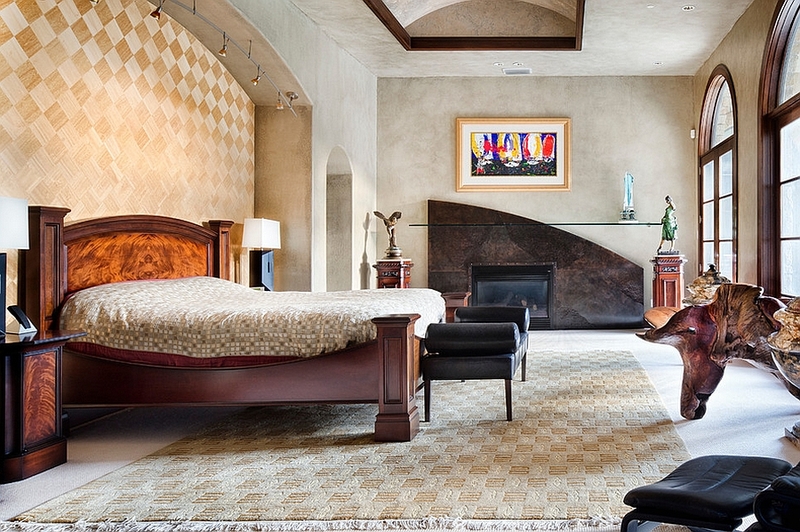 Textured walls and decor play a very important role in shaping your Mediterranean bedroom. This is one style that is equally comfortable with a sleek, refined look or a space that embraces all the frills and heavy overtones. Rustic wooden accessories, wrought iron light fixtures, wall sconces, and rich wool and silk textiles drive the opulent look home. 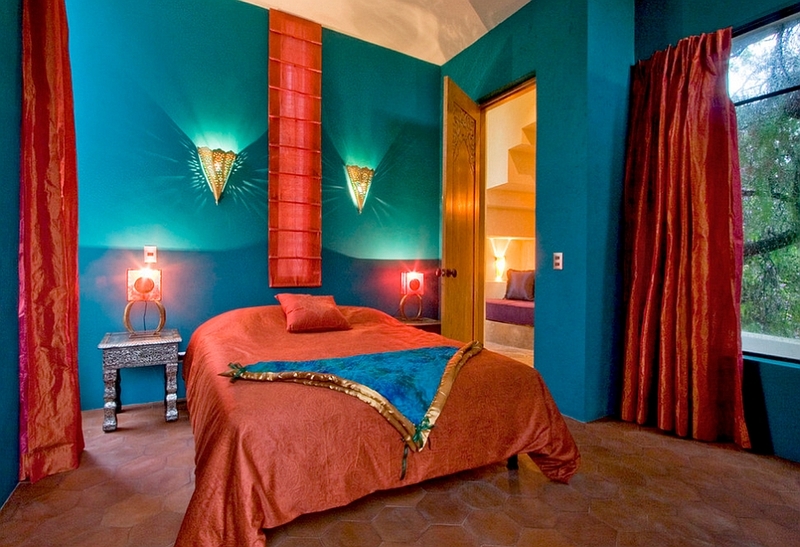 If you have opted for a neutral backdrop or do not wish to change the existing one in your bedroom, it is time to bring in vibrant and audacious splashes of azure, coral, terracotta, lavender, rich yellow, and fiery red to usher in that timeless Mediterranean style. Color is a very important and integral part of the region’s effervescent lifestyle, and it automatically translates into design as well. Just think of a lovely sunset on the Mediterranean coast or its vivid orange gardens and you instantly have a color palette to emulate! Hand-painted tiles have always been a very important part of the various styles emanating from the Mediterranean. Giving your entire bedroom floor a huge revamp might be too much of a commitment though, so try a few mosaic additions or some artwork that uses colorful tiles. Make sure that the floor is not too sterile and cover it with some lovely Moroccan rugs to usher in pattern and vitality. No matter which Mediterranean style you adopt, a touch of iron works magic in the bedroom! Of course, with many modern reinterpretations of the style, this has been put aside to shape sleeker and more urban spaces. But the classic Mediterranean-style bedroom benefits from wrought iron additions that might range from a gorgeous bed to decorative banisters and chandeliers. 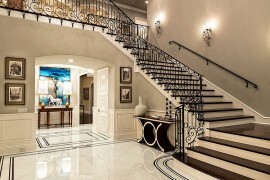 Once again, the accents that you choose depend on the region from which you have adopted the style, and the right lighting fixtures accentuate their appeal elegantly. 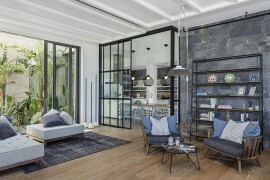 When we talk about Mediterranean homes, a common theme that comes to mind instantly is the flood of natural light that illuminates the interior. 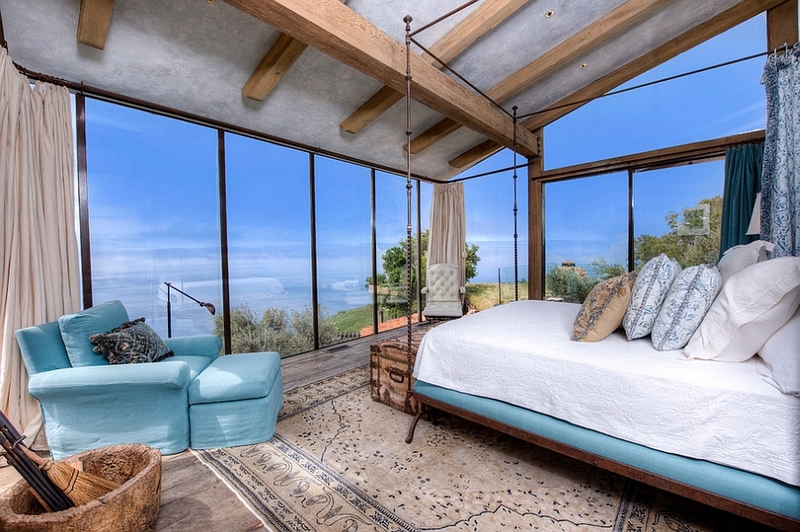 Mediterranean-style bedrooms need plenty of natural light to look their natural best. If your bedroom has poor natural ventilation, then use glossy finishes, mirrored surfaces and an uncluttered design scheme to make it seem as visually airy as possible. Large white sheer curtains can replace heavier drapes to usher in more light as well. It is important to remember that the ‘Mediterranean style’ is an amalgamation of several different and distinct design styles from the region, and while they have plenty of common qualities, each of them can be distinctly different. Also, nature and the outdoors play a very important part in almost every branch of the style, and hence adding a lovely potted plant in the bedroom sure helps give the space an authentic look. Wall art with images from the region or old paintings from the local flea market that relate to the Mediterranean are affordable and easy decorating choices. Obviously, modern designers have reinvented and given some of the classic Mediterranean themes a contemporary twist to shape bedrooms that seem more urbane. Most of these spaces draw inspiration from the coast of Greece and the Balearic with their use of various shades of white and blue. For those who are looking to remodel a bedroom with coastal theme, this is a fine choice as well. With simple lines, a refreshing ambiance and an uncluttered color palette, these bedrooms are the most popular among the young! Mediterranean is not just one style and is in fact a rich amalgamation of a diverse region with many cultures, traditions and nationalities. Yet the influence of each of these different cultures on the other, the region’s climate and its lifestyle have produced a cocktail that is quickly becoming one of the hottest styles on the planet. 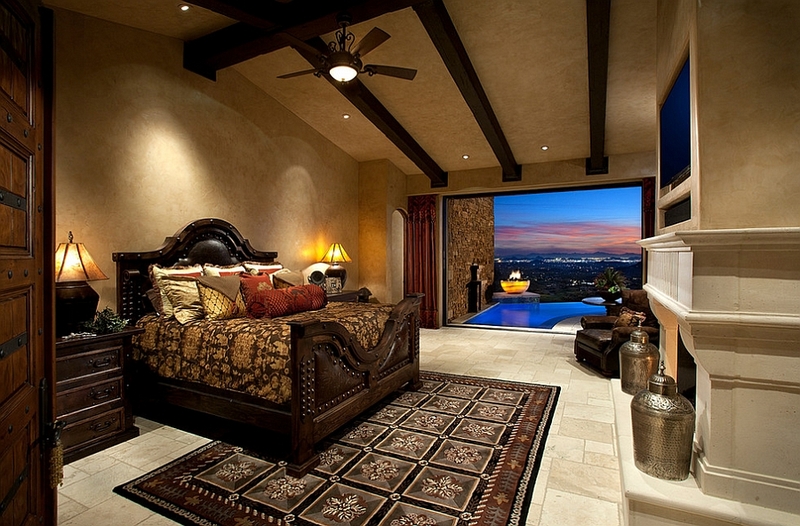 Mediterranean bedrooms take you a step closer in understanding and appreciating this diversity. Easy to achieve, affordable and soothing, it is hard to turn away from their charm!